This week's show is all about getting an early start. 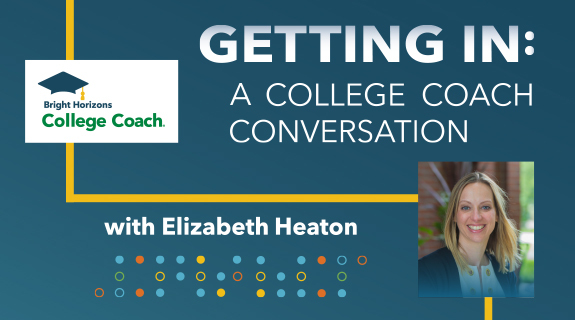 For starters, we’re introducing the first segment in a four-week series covering everything you need to be thinking about relating to college admissions for each year of high school. We’ll start where you start—with ninth grade. We’re also going to discuss getting an early start on college finance, including looking for scholarships and whether or not it's a good idea to move assets around to increase financial aid. We'll finish off our series on the new Common App essay prompts for 2015-2016 by exploring prompts three through five. Alex Bickford joined College Coach as part of the college financing team from the education finance department of Citizens Bank. Before his stint with Citizens, he worked as an Assistant Director of Financial Aid at Southern New Hampshire University. Alex has spent most of his professional career working in financial aid and has assisted traditional undergraduate, adult learners and master’s degree students in financing their educations. He has a master’s degree in business education, a bachelor’s degree in hotel and restaurant management, and an associate’s degree in culinary arts.